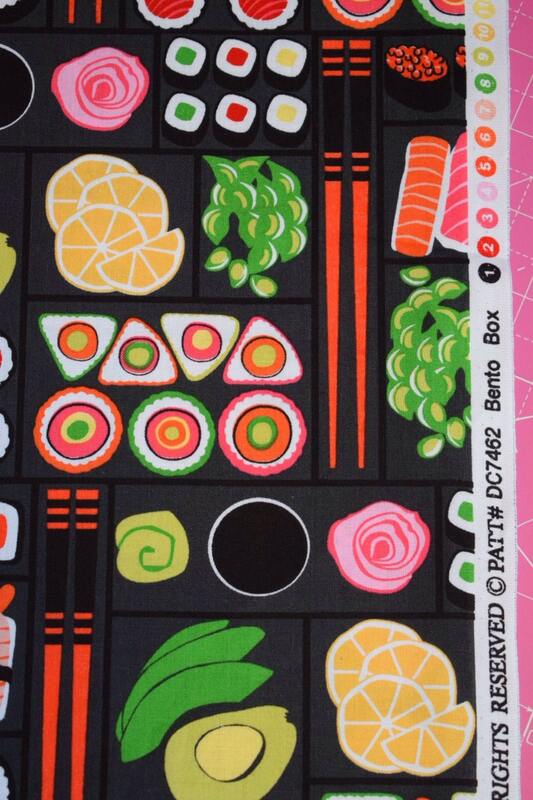 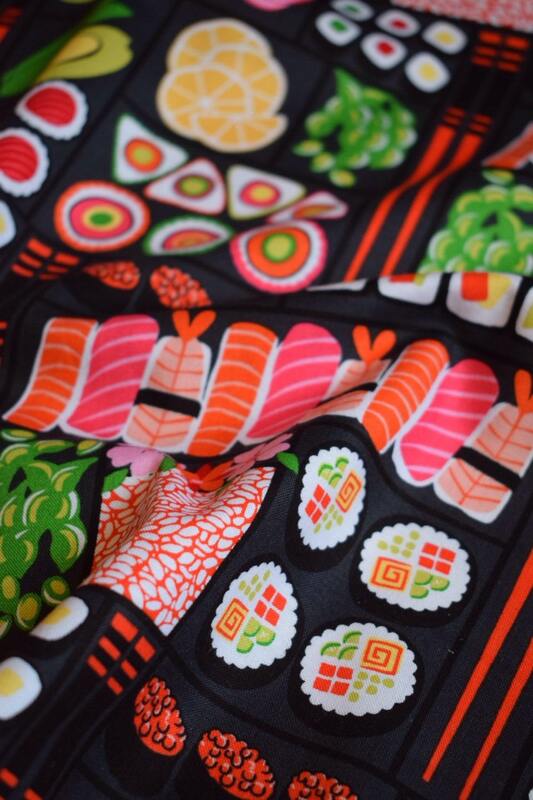 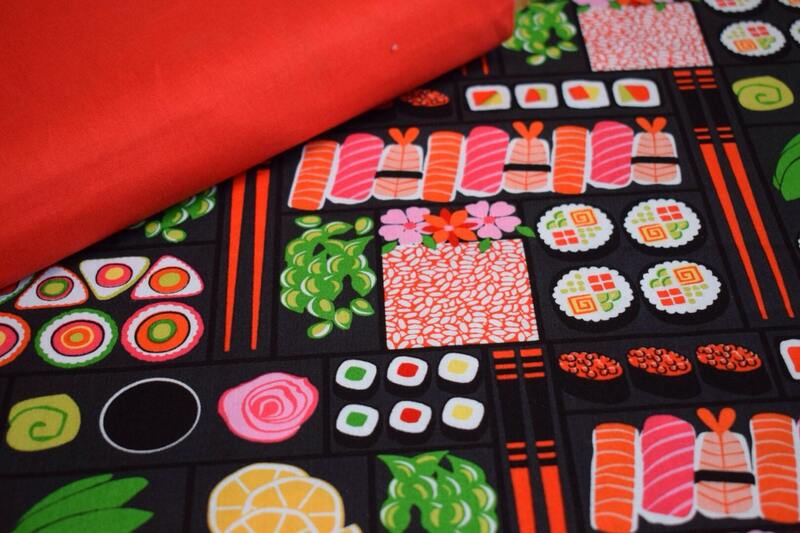 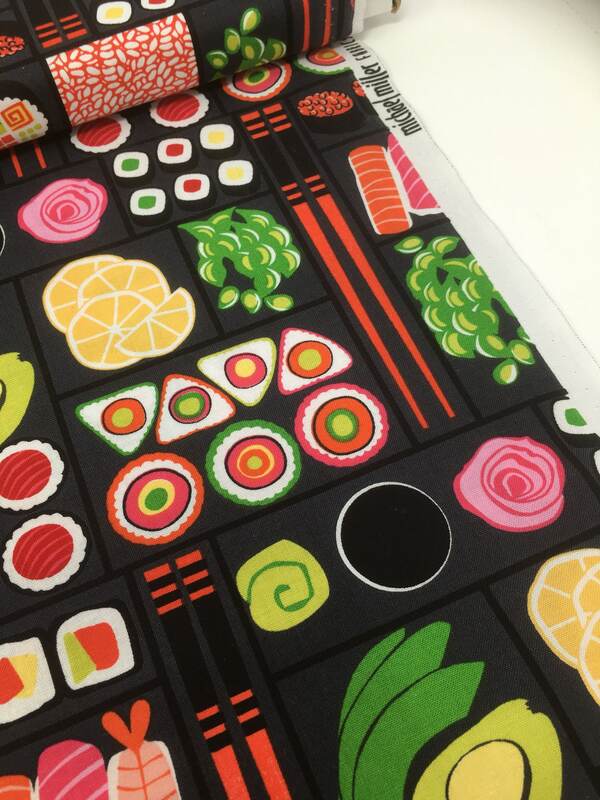 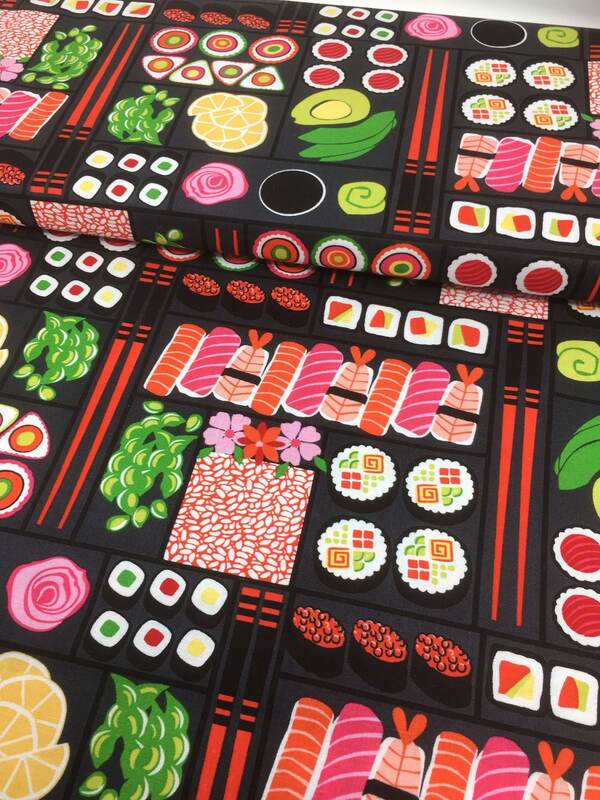 Michael Miller bento box sushi print woven quilting cotton - the perfect fabric for any sushi addict! 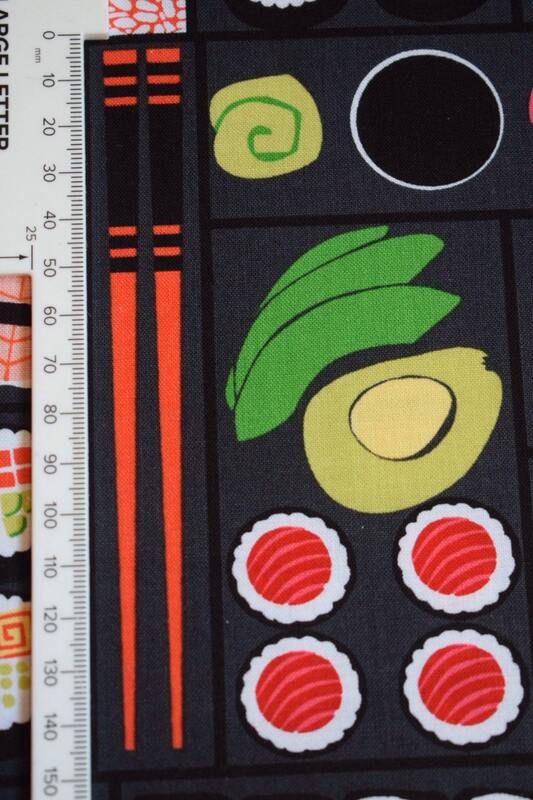 This fun and vibrant 100% cotton fabric has a black base and features sliced avacado, wasabi peas, prawn rolls and of course a soy dipping sauce. 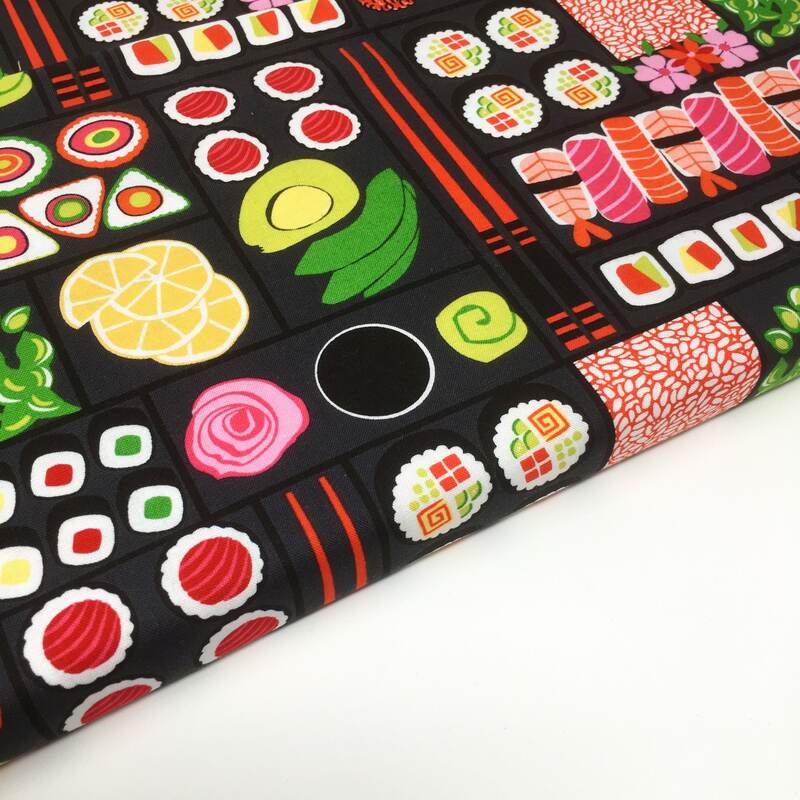 This quirky and unusual fabric is perfect for craft projects like patchwork, home decor projects like curtains or even dress making projects. 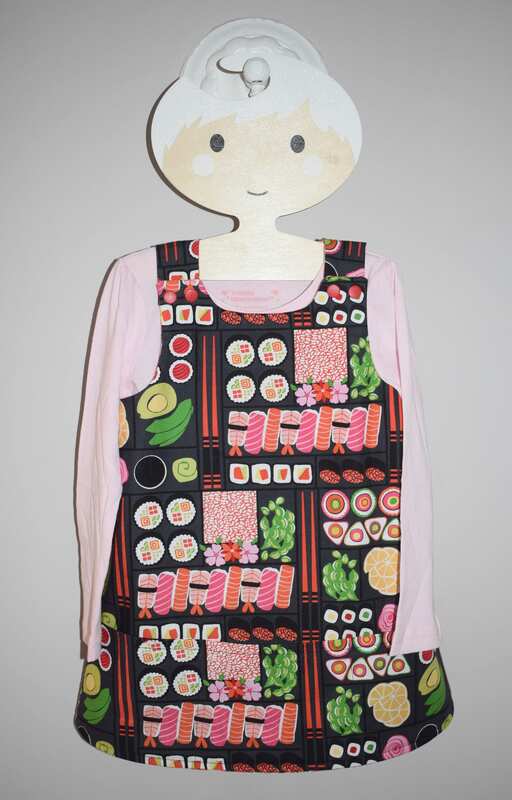 In fact I made my daughter and I matching tops in this print!